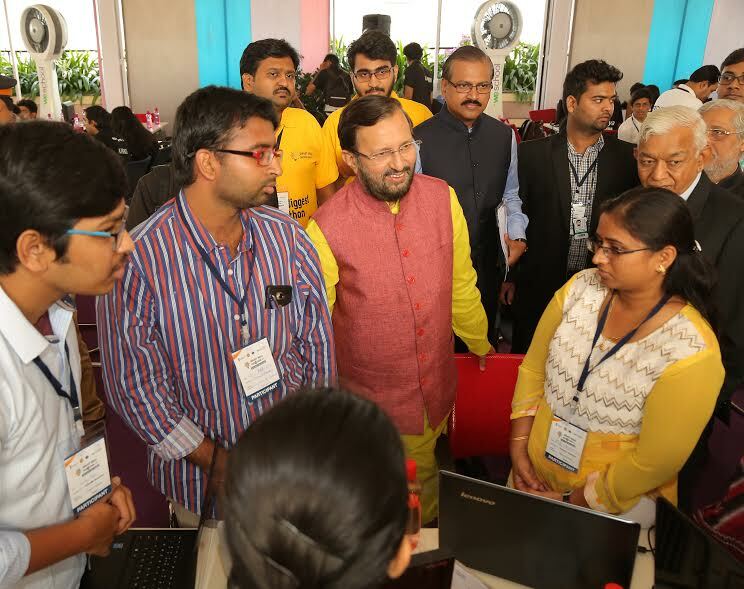 Mumbai: The Grand Finale of the world’s biggest Hackathon, SMART INDIA HACKATHON 2017, by MHRD & AICTE was inaugurated at the hands of Shri Prakash Javadekar, Hon’ble Union Minister for Human Resource Development at Prin .L.N. Welingkar Institute of Management Development & Research (WeSchool) along with Prof Dr Anil Sahasrabudhe, Chairman, AICTE, R Balasubramaniam, Nodal officer,Dept of Atomic Energy, Anand Deshpande, Co-Chairman, Smart India Hackathon 2017, Founder, Chairman & MD, Persistent Systems Ltd. , Dr Deepak Phatak, IIT(Mumbai) , Advocate Shri .S.K. Jain, Chairman, LMC, WeSchool & Managing Council, Shikshana Prasaraka Mandali, and Prof Dr Uday Salunkhe, Group Director, WeSchool. Heads of other educational institutes in Mumbai were present for the inaugural ceremony. WeSchool is privileged to be among the only two b-schools, in addition to the 24 Engineering institutes to be chosen for hosting this nationwide initiative. The 32 teams consisting of 237 young geeks from institutes across India that have come together at WeSchool got down to business soon after the inaugural ceremony was over. During the 36 hr. nonstop hacking they will strive to find solutions to problem statements shared by Dept. of Atomic Energy like : Personal radiation dosage calculator, Digital Public Outreach Platform For Nuclear Energy, Personnel Identification System, Software for Face Recognition out of CCTV footages, Cyber Attacks Threat Map, Need of a software for Radiation dose monitoring, Blood bank App, Hospital Patient Information system on App (for Tata Memorial), a Cancer Staging and Management App (for Tata Memorial), GPS mapping of resources for Crisis management and others. All the young innovators are looking forward to listening to PM Modi’s inspiring address at 10.00pm, that will outline his vision to build a funnel for ‘Start Up India’, ‘Stand Up India’, crowd source solutions for better governance and improved quality of life and providing innovative solutions to problems faced by Indian citizens with the involvement of youth. With creativity, innovations and entrepreneurship ingrained in the institutes DNA, two teams of young MBAs from WeSchool under the mentorship of faculty experts like Prof Dr Suyash Bhat, Prof Dr Vaishali Patil, Prof Manmeet Barve and Prof Dr Pradeep Pendse have taken off to Bhopal and Thiruvananthapuram to work on challenges shared by other Ministries. 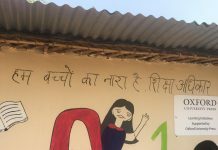 Team WeSamaksh consisting of Sanjivkumar Rai, Srishti Shukla, Ajinkya Hendre, Pragya Maheshwari, Mohit Salgaonkar and Parvez Ansari are working on the challenge ‘Tracking attendance of students and teachers in Indian schools in real time’ shared by National Commission for protection of child rights at Bhopal. While, Team AnWeShan consisting of Kalind Vadera, Sahil Gajria, Rahul Chaudhari, Tejashree Nirmal, Satej Akolkar, is headed to Thiruvananthapuram to work on the Problem ‘Payment process streamlining’ along with solution for last mile payment delivery mechanism for various schemes/programs such as PMAY and MNREGS shared by Dept. of Rural Development. Prizes of Rupees One lakh (first), Rupees Seventy five thousand(second) and Fifty thousand (third) will be awarded to the winning institutes as they are judged by a team consisting of scientist-innovators from Dept. of Atomic energy and academic experts.